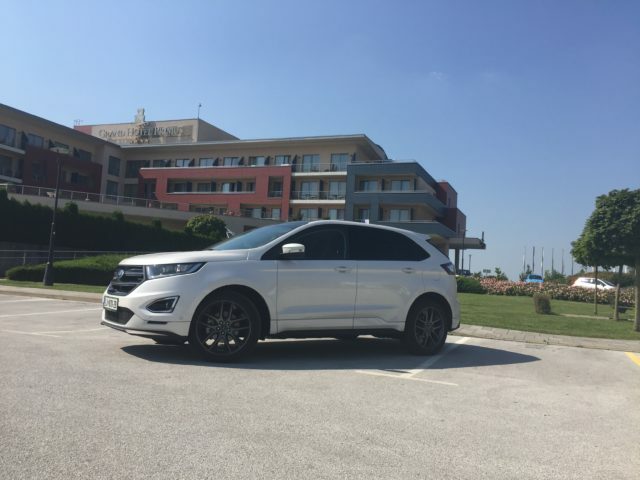 From 6th to 9th September 2016, the Congres centre of Terme Ptuj, Slovenia, hosted a Summit Motors Ljubljana seminar. The event took place beetwen the 6th and 9th of September in The Grand Hotel Primus. The focus point of the seminar was the education of the car salesman about the new selling methods and new car models on the market. A new SUV, made by Ford was also presented. The inspiration from performance, directed into design, with focus on technology. This is the next generation of SUVs , which is represented by the completely new Ford Edge. They have checked the latest on the maket, touched the offering of the competition and developed the mentality of how to be better than them or in what way to make the costumer believe that they are the right company for you. The seminar was in 2 parts; the first being Tuesday-Wednesday, and the second being Thursday-Friday. The participants and the organizer were very pleased with the entire execution of the event. They intend to return to Terme Ptuj.